High-flying human resources and insurance start-up Zenefits has been hit with $7 million worth of penalties by California insurance regulators who accused it of allowing unlicensed employees to sell insurance. Half of the amount was suspended, pending continued compliance with state regulations. San Francisco-based Zenefits has previously settled investigations with Tennessee, Arizona, and Minnesota, paying much smaller fines in the tens of thousands of dollars. "Businesses and consumers should have confidence that anyone selling insurance to them in California is doing so in compliance with our consumer protection laws," said Insurance Commissioner Dave Jones. "Our enforcement action has resulted in Zenefits paying substantial monetary penalties for their licensing violations and ensures Zenefits complies with all of California's insurance laws and regulations or they will face additional automatic penalties and sanctions." It's one of the largest penalties for licensing violations ever assessed in the department's history, Jones said. Zenefits said it was pleased with the settlement and said it now has a "clean bill of health" from California and 16 other states. 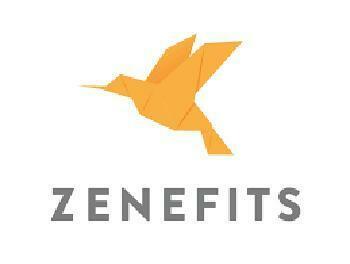 A 2013 start-up, Zenefits is a San Francisco based company whose business model was to provide online HR services to businesses and then encourage those same businesses to use Zenefits as an insurance broker. Zenefits sees itself as a software-as-a-service company, providing software that automates much of the tedious work involved in human resources and employee benefits operations. The California investigation centered around a piece of software that enabled Zenefits staff to complete prelicensing coursework in less than the amount of time required by the state, which tightly regulates insurance sales. Regulators opened an investigation in 2015, after receiving complaints that Zenefits employees were transacting insurance sales without a license. Shortly after the investigation began, the company announced publicly that it was not complying with insurance laws and regulations, which was followed by the resignation of Zenefits CEO, Parker Conrad. "In California, we value innovation and new business models, including Internet based start-ups, but we also insist that consumer protections laws are followed," said Jones. "Zenefits is an example of an Internet based start-up whose former leaders created a culture where important consumer protection laws were broken -- a bad strategy that placed the company at risk and that other start-ups should not follow given our strong consumer protection laws and the Department of Insurance's rigorous enforcement of those laws." Half of the penalty was suspended, pending Zenefits' continued compliance with licensing rules.